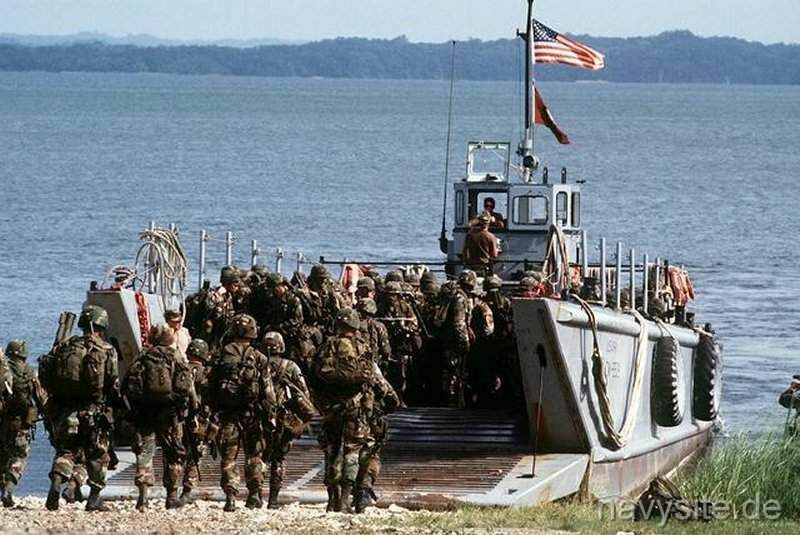 Landing craft are used by amphibious forces to transport equipment and troops to the shore. They are capable of transporting tracked or wheeled vehicles and troops from amphibious assault ships to beachheads or piers. The use of landing craft in amphibious assault dates from World War II. The craft are carried aboard amphibious assault ships to the objective area. The LCM-6 is intended primarily for the transport of cargo and/or personnel from ship-to-ship and ship-to-shore. The craft is a 56-foot twin-screw, welded-steel craft with forward cargo well and bow ramp. The design of the boat permits its transportation aboard larger vessels. In 1959, the LCM-3 was replaced with the larger 70-ton LCM-8. LCM-8 are manned by a four man crew, Boatswainmate Petty Officer, Enginerman Petty Officer, and a non-rate fireman and seaman. The LCM-8 is constructed of steel and powered by two 12 V-71 diesel engines. The LCM-8 has twin screws and rudders, which can be controlled from the pilothouse. LCM-8 is built of welded steel; it's bottom, however, is semiflat. The mission of the LCU is to land/retrieve personnel and equipment (tanks, artillery, equipment, motor vehicles) during amphibious operations. LCU's are scheduled to land personnel and equipment after the initial assault waves of an amphibious operation. The LCU has the capability of sustained sea operations for approximately seven days. Each LCU has its own galley and berthing spaces. 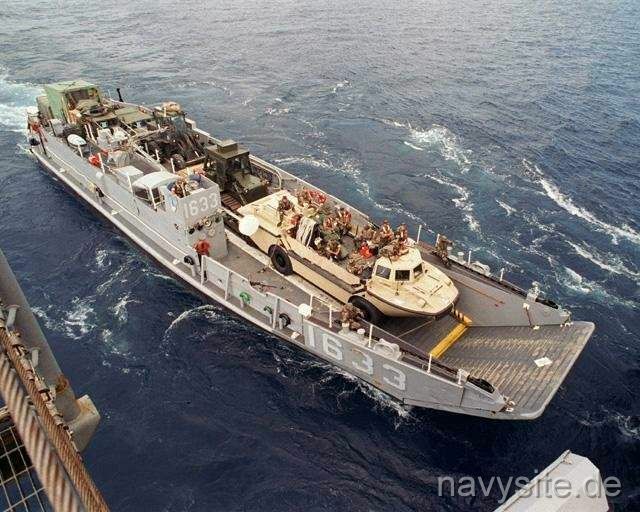 The LCU’s built in the 1970s are 135 feet long and can hold 11 crew members. 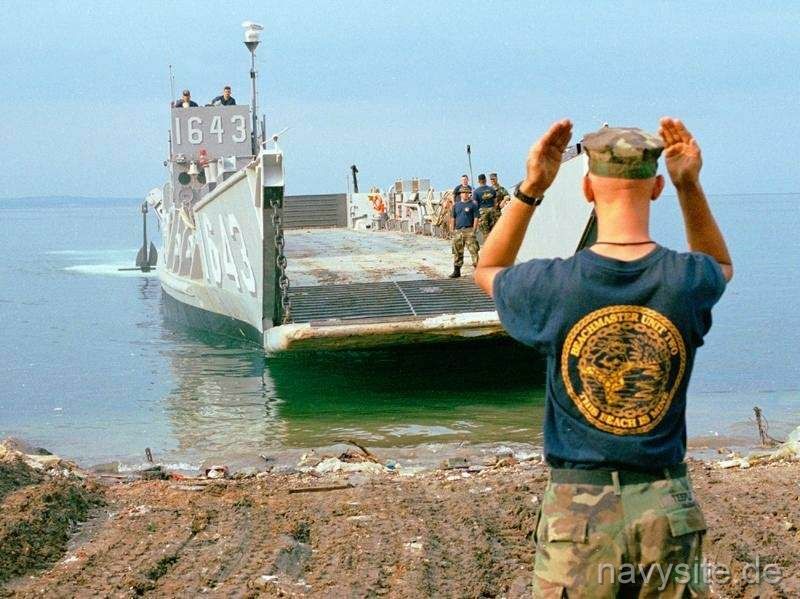 Although the Navy now has a newer craft, the Landing Craft Air Cushion (LCAC), the LCUs have the backbone for heavier loads. It can carry 180 tons of equipment or 400 combat equipped Marines. 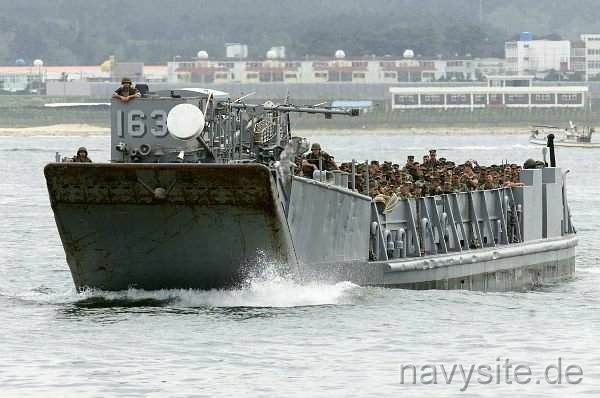 Its development and design updated the landing craft used in World War II, made famous by the invasion of Normandy Beach and immortalized in numerous news reels and movies. 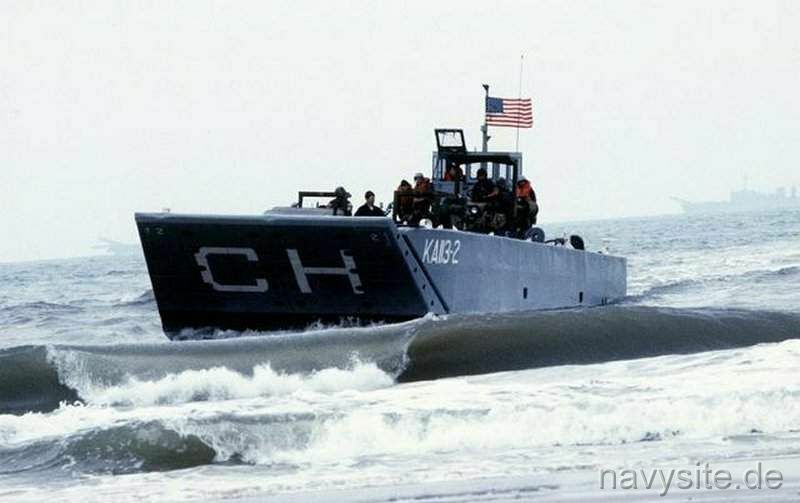 However, the LCU requires a 9 foot draft beneath it’s keel to operate safely, making it less versatile than the LCAC, which flies on top of water or ground. Another difference between the two landing craft is the LCU is home away from home for its crew, because it can operate independently of the amphibious ships on which it embarks. It contains living compartments that include sleeping quarters, a wash room with shower, a clothes washer and dryer, a lounge with a television and a complete galley. 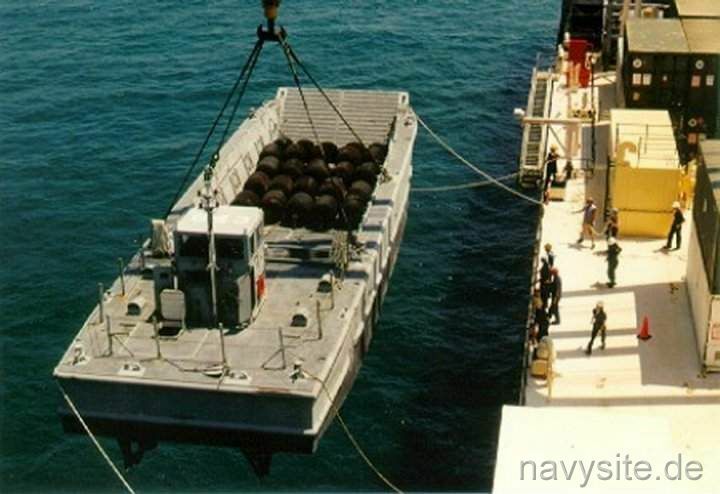 The 189 ton LCU are designed to carry 3 M-60 tanks, as many as 450 combat equipped troops or a variety of other support equipment such as surf cranes, bulldozers, trucks or artilleries. An LCU has a complement of a ten man crew consisting of a Radioman, Engineman, Electricians, Mess Management Specialist, Quartermasters and Boatswainmate, under the command of a Chief or First Class Craftmaster. The Craftmaster is wholly responsible for this craft and crew.